Ken passed away on Tuesday, October 16, 2018 at the age of 76. He is survived by his daughters Diana Materi-Lemieux (Jack Lemieux) whom he lived with for the past 10 years, and Melissa Materi; sons Eric Materi and Michael Materi; and grandchildren Britney Mills and Alyssa Mills. Predeceased by loving wife Susanne Materi, brother Robert Materi, sister Eleanor Rabbitt, mother Emilia Materi and father Leonard Materi. A Private Family Service will be held at the Lemieux residence as per Ken’s request. 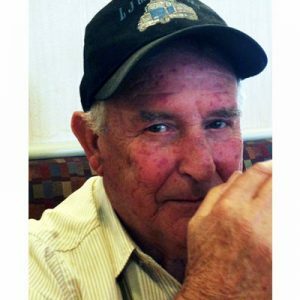 The service for MATERI, Kenneth Allan Edward is scheduled for A Private Family Service will be held at the Lemieux residence as per Ken’s request. Below you will find the map for the service location and the contact information should you have any questions. I have fond memories of when Uncle Ken (& Sue) would come visit Kelowna in the summer in their RV. All us kids running around and having a blast. Simpler times. So sorry for your loss of uncle Ken ,was a great man. Have known ken for many years. He was always a gentleman. It was a pleasure to have known him. He will be missed. I am very sorry for your loss. I know that having his family with him the last years was a joy for him.